Try our deep relaxing massages for total wellbeing and restoration. This wonderful treatment combines massage, energy field alignment and crystal therapy to create something really quite special! I’ve developed it as my unique signature treatment combining my experience and learning from the last decade. The treatment aligns your energy field and connects you to the earth, so that you are fully present in your body and in alignment with your true essence. The alignment is followed by body massage working with both soft tissue and deep tissue massage movements. I then use crystals specially selected for your body to massage specific areas where blocked energy needs to be released, improving the energetic balance of your body. I’m told it’s simply wonderful! The treatment takes 90 minutes and costs £77.00. Structural Rebalancing is a pioneering new treatment that uses cherry picked techniques from the very best of sports & remedial massage, Thai Yoga massage and Cranio Sacral Therapy. It takes a holistic approach to body work that is perfect working with acute or chronic pain. In particular it is useful for conditions involving muscle or skeletal issues, recovery from injury caused by trauma or sport, or as a preventive treatment to alleviate stress building up in the tissues of the body. An initial consultation takes 90 minutes and costs £76.00, with continuing treatments being 60 minutes and costing £55.00. 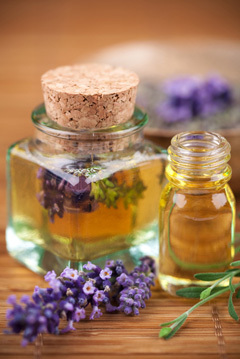 For total well being and restoration, this treatment starts with a consultation to select a specific blend of pure essential oils for a truly unique massage experience to balance the mind, body & soul. One of the most sought after luxury treatments. This wonderful massage uses smooth, basalt heated stones for an intense deep muscle massage. Perfect to ease tension and stress throughout the entire body. Deep tissue massage reaches deeper layers of muscle and fascia (the connective tissue surrounding muscles) using firm pressure and slow strokes. It can benefit chronic aches and pain or tight areas like a stiff neck and upper back, low back pain, leg muscle tightness, or sore shoulders. Designed to improve function of the lymphatic system, which forms an important part of the body’s immune response and encourages healthy body tissue. This treatment involves light, rhythmical massage movements which will both relax and revitalize. Wonderful! For total well being and relaxation. This treatment eases and soothes tired, aching muscles. It releases tension and restores a feeling of peace and balance. Forget your cares and enjoy! A wonderful pre holiday treatment, gently exfoliating to reveal fresh vibrant skin. Exfoliation is followed by stimulating massage movements to increase circulation and detoxify the system. Great after over indulging! It also assists the lymphatic system and boosts the immune system. Deep relaxing massage to alleviate back and shoulder tension, perfect way to unwind, releasing stress and restoring a feeling of peace. Using Neal’s Yard organic products I give your whole body a thorough exfoliation that leaves your skin super soft and glowing. This treatment helps remove dead skin and can be wonderfully combined with body massage. Enjoy a wonderful full body scrub and exfoliation to make your skin soft and smooth, followed by a soothing massage with oils that restores the skin and relaxes every muscle in your body. Give yourself the works!